Sugar and other nutritionally equivalent sweeteners like high fructose corn syrup are under attack by the nation’s foodie commentariat and would-be regulators. In a new book released just in time for New Year’s resolution-makers, Robert Lustig says that the stuff is “toxic” and kids shouldn’t be allowed to buy soft drinks. Meanwhile, New York Times columnist Mark Bittman thinks that celebrities ought not to endorse sodas because they’re comparable to cigarettes or guns. They aren’t, obviously, but when activists have to cram down policies Americans don’t support, accuracy takes a backseat to hyperbole. So, commentators take to creating myths just as real as the childhood Boogeyman. Lustig’s screed, Fat Chance, would be just another in a series of fad diet books targeting single foods and ingredients that waste away in the bargain bin if it didn’t come with a bunch of proposed regulations. And carding people for soda is just the tip of the iceberg: Lustig wants to apply the whole gamut of alcohol control policies to sugar. He’s not alone in that desire, either. Attitudes about healthy nutritional choices cannot be made through political mandates; city councils aren’t equipped to address the complexities of obesity. […] Taxing soft drinks won’t do a darn thing to convince young people that they are valuable; that their bodies are valuable; that they need to respect themselves by eating the right foods and exercising. People have to make their own decision to lose weight and keep it off. As the experiences of the National Weight Control Registry participants — people who successfully lost weight — demonstrate, dieting frequently fails without physical activity. 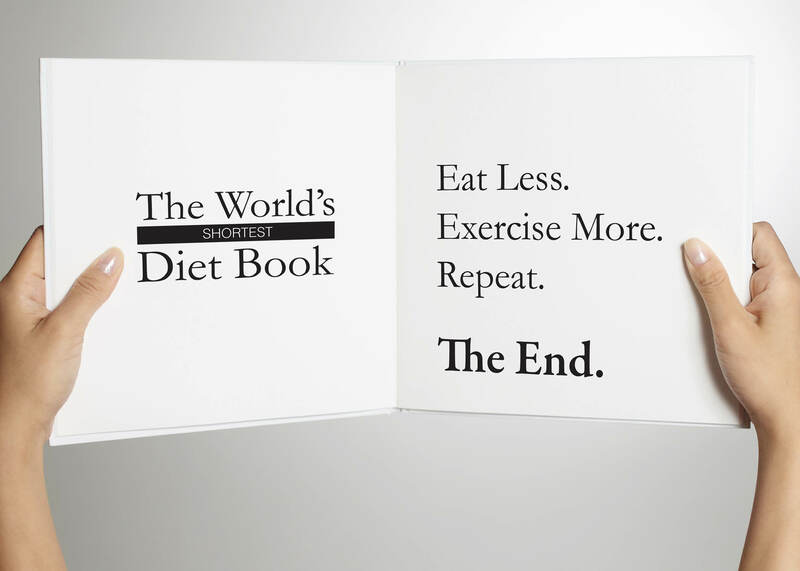 There’s only one “diet book” you’ll ever need, which we have provided here free of charge.